Dana 20 Transfer Case Shift Boot, fits 1973-1977 Classic Ford Broncos with Reverse J-shift pattern transfer case shifter. 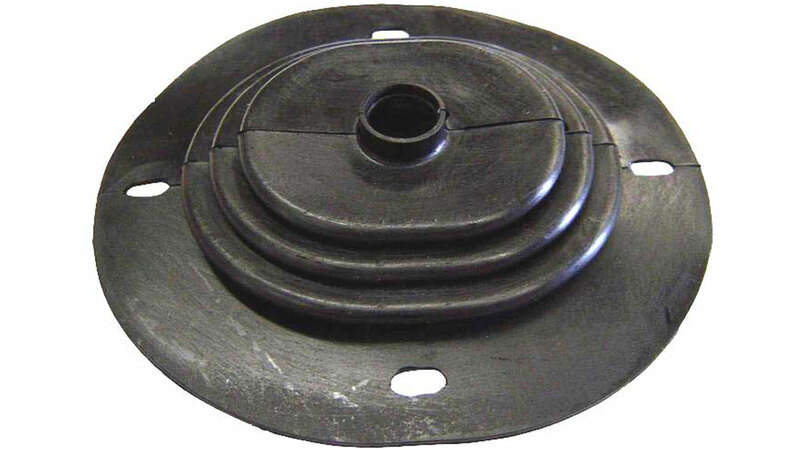 We also offer a new shift boot retainer ring, used to hold the boot in place. Also fits 1966-72 Ford F150. This Transfer Case Shift Boot fits 73-77 Ford Broncos w/Factory J-Style Dana 20 Transfer Case. NOTE: Will also work with 1966-1972 Ford Broncos with J-Style Dana 20 Transfer Case conversions.